In today’s market, the number of plug-ins and effects available is astonishing. Even looking at one category of effect can be overwhelming. When browsing equalizers for example, users can find tools designed solely for mastering or mixing, linear-phase vs mixed-phase, static or dynamic…even models based off classic analog gear vs those that desire to have no sound unto themselves. There are a huge variety to choose from. In order for a plug-in to stand out in any way, it had better bring something unique to the table in terms of features and sound. 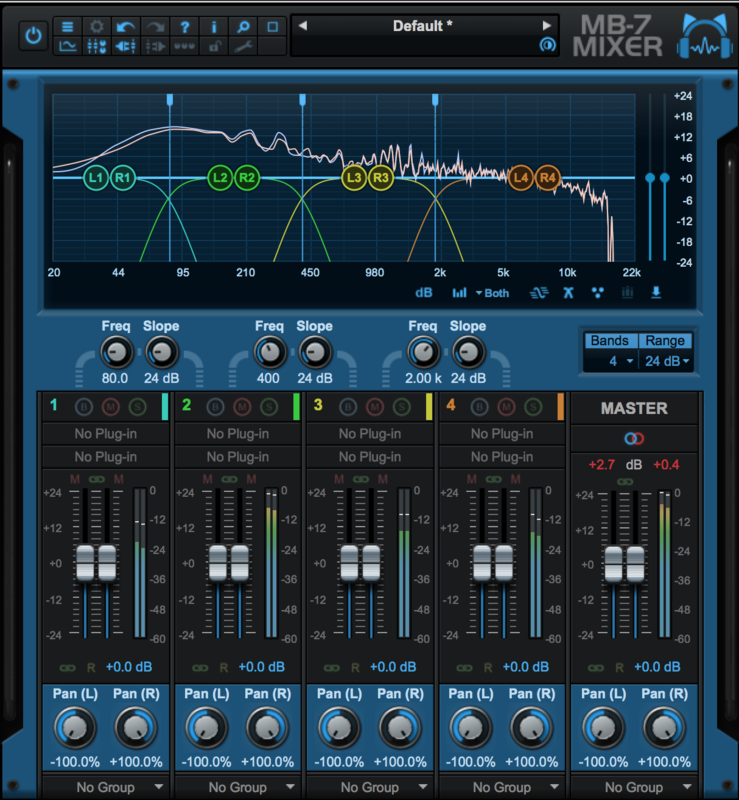 ACON Digital has thrown their hat into the ring with their Equalize plug-in. 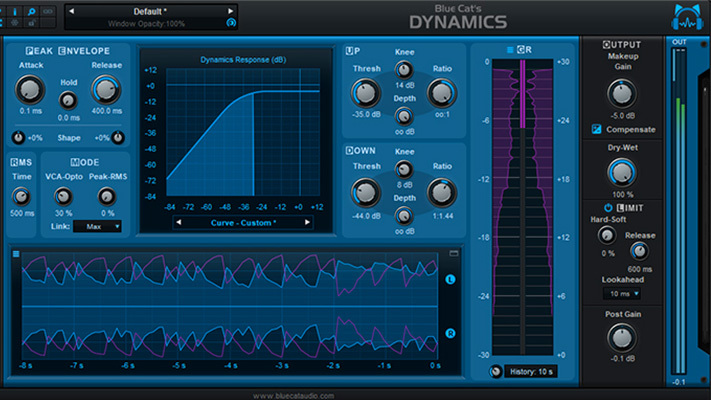 Equalize is a highly-flexible, transparent, and powerful digital EQ. Let’s peek under the hood and see how Equalize stands out. I’ve mentioned this before, but the top row of any ACON plug-in immediately makes me love their offerings. Presets, with scrolling in either direction. Some people look down on presets and generally I don’t use them. But for people who save a lot of their own presets, especially those who record in a similar manner frequently, these can be a real time saver. 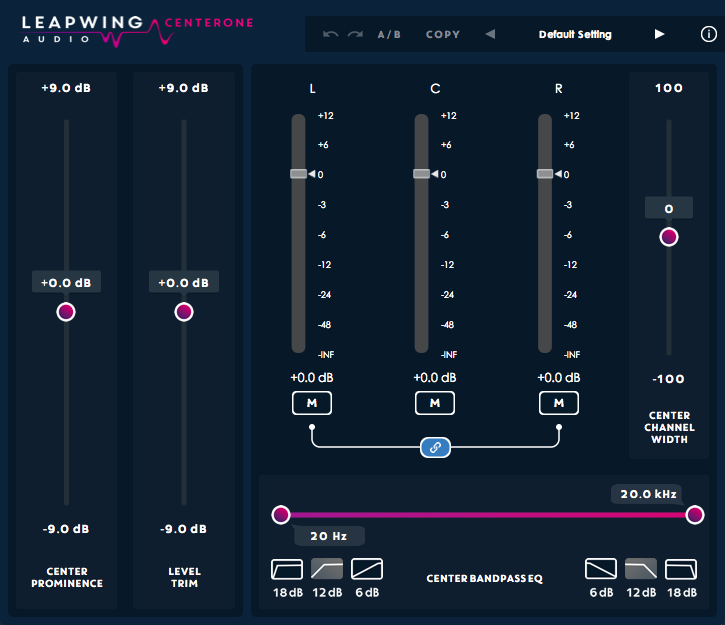 Additionally, rolling through presets is the fastest way for new or inexperienced users to figure out quickly what kind of processing a plug-in is capable of. While that may be a better practice for say, time-based effects as opposed to an EQ, I admire and trust and company who endeavors to make my life easier. The same can be said for their Undo/Redo switches and A/B controls. It is inherently nice to be able to experiment a bit and then go right back to where you were. 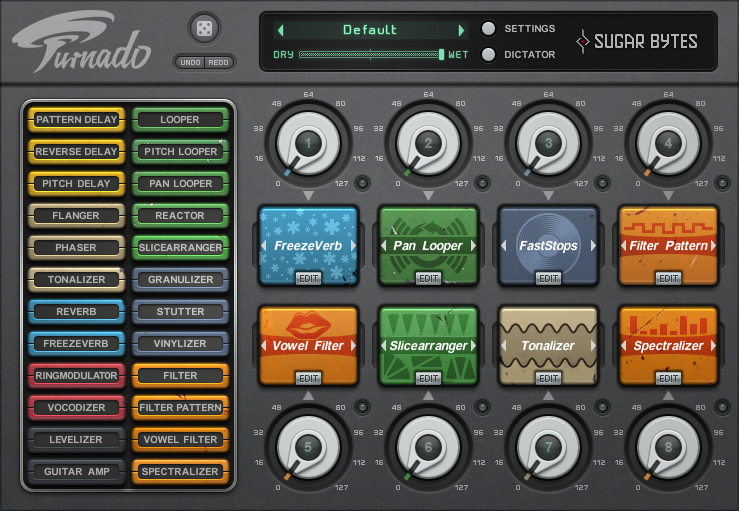 The Undo/Redo control becomes a life saver if you are mastering or doing mix revisions. A/B is handy when doing some exploring at the beginning of a mix or working with clients in the room. Underneath those ACON standard controls, lives the display. I’m happy to report the visual feedback here is large, bold, and beautiful. The EQ Gain control is entirely scalable offering +/- 3, 6, 12, 18, 24, 30, and 36 dB of gain! This make is very easy to display minor or major EQ changes in a graceful manner. The Spectral Level display is also scalable showing -60, -90, and -120 dB Full-Scale metering. For evenly dynamic mixes/masters, like Classical music and Jazz, you’ll be able to comfortably see the actual range of what is going on. Below the display are the band controls for Equalize and this is where we start to see the inherent strength and power of this plug-in. First off, Equalize allows anywhere from 1-12 bands across the frequency spectrum. An interesting thing about these bands as well: Each band can be any shape the user desires. Available options are Low-Cut Filter, Low-Shelf, Peak aka Bell, Notch Filter, High-Shelf, and High-Cut Filter. 12 bands with this kind of overlap/shaping is useful. Drop a high-shelf on your overheads to boost the sheen, and use the notch filter to get rid of excessive ringing and unpleasant overtones. Or, apply a low-shelf to a boom-y kick drum to get rid of mud and flab and add back a peaking boost at the fundamental to keep the power and size. The possibilities here are extensive to say the least. Additionally, each color-coded band offers center/corner frequency control that ranges from 20Hz all the way up to 40kHz. More than enough for near any project, although the display only goes a little past 20kHz. Next up is the gain control. On tap here is up to 36 dB of boost/cut. The Bandwidth control, allows for .01 Octave all the way up to 8. 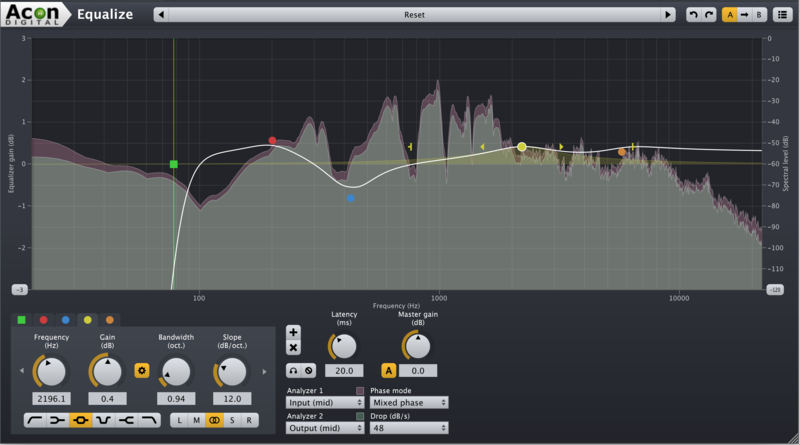 I’m a big fan of EQ’s that measure bandwidth using octaves, vs those that use the other standard, Q, or Quality. Octaves feel much more musical and make more sense to me in the context of songs (now if only they would offer the option to type 1/12th, 1/3rd etc. into the GUI I’d be in heaven!) On the Shelves and Low/High-Cut Filters this is referred to as Resonance and measured in dB. There is also a link between gain and bandwidth which allows users to operate Equalize as a “Proportional Q” equalizer where the bandwidth increases as the gain is raised. Many classic equalizers such as the Harrison and API EQ’s work this way. The final parameter here is Slope, measured in dB/Octave. Effectively, this functions as a rate of drop-off in a selected band filter. Often we only see these as an adjustable setting on high and low-cut filters. Here, every band has a slope control. Combining this with the bandwidth gives users a framework to draw in literally any shape they desire. Shelves with a resonant peak are easy to create, as are peaking filters that are wide, but flat across their given boost or cut. This kind of surgical precision and problem-solving is not always necessary or even musical as it can create artifacts! But when you absolutely need it, it is very nice to have. Another wonderful feature is that each band can be applied to only the channel/s the operator desires. Individual bands can be placed on the Left or Right channels (or both) as well as the Mid and Side channels. To the right of there is a Solo/Bypass button for each band. I find this to be invaluable when notching. Rounding out our controls are the global functions. The Master Gain output with optional automatic gain compensation is a welcomed addition. Next is the Phase control. Equalize offers three choices here: Minimum Phase, Linear Phase, and Mixed Phase. Minimum Phase behave like analog equalizers. Great benefits are zero latency and no pre-ringing. The downside is you can create phase issues with correlate tracks, for example multiple mics on a drum set. Linear Phase creates no phasing issues at all but at the cost of high latencies and pre-ringing artifacts. Mixed Phase is ACON’s compromise between the two. It combines the best of both and has an additional Latency parameter to adjust up or down according to your needs. Last, we come to controls that manage the display. Up to two separate analyzers are included and can be placed on the input or output of any of the channels at any time. An additional control for Drop (measured in dB/Second) give the analyzers a flexible response time that can make certain problems easier to diagnose and understand. Based on these parameters alone, Equalize functions as a solid analyzer. VSR S24 is the first reverb plugin with multiple selectable reverb engines which can completely change the spaciousness of the late diffuse reverb. 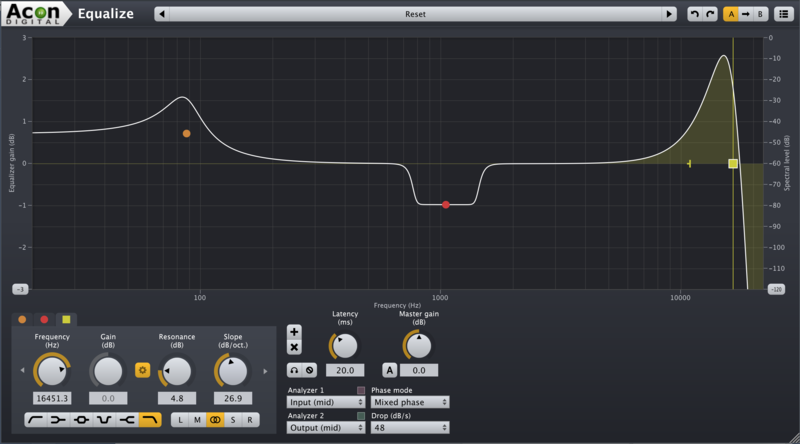 Using four different reverb engines enables the user to get true stereo behavior, with four distinct reverb tails. These options can be accessed through the Advanced tab of the GUI. Finally, the Setup tab allows for the user to customize how the VSR S24 looks. Hue, saturation, color, brightness, reflection and back lighting can all be customize given the user a unique layout that fits their own workflow. Loading up and working with Equalize is a dream. I was able to quickly diagnose and solve issues wherever they popped up. 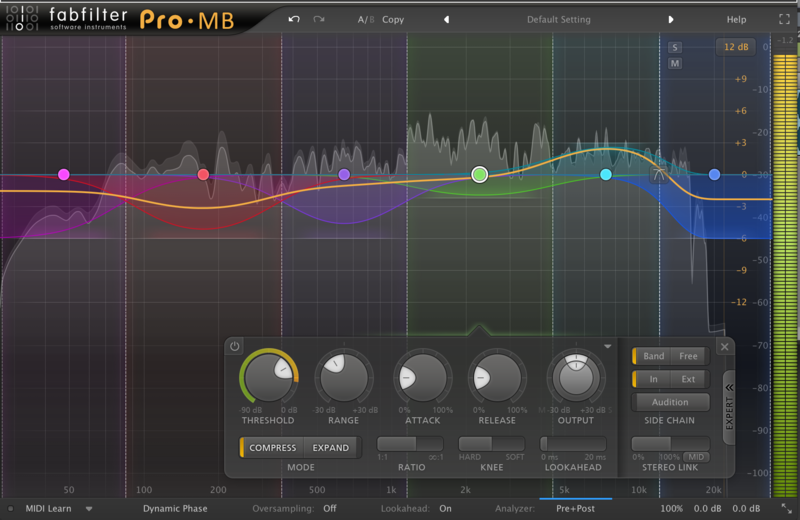 As a “Problem-Solver” EQ, this plug-in is first rate. Strident vocals…no problem. Muddy bass, not an issue here, nor was a ringing snare drum. Not only does each band have knob-style parameter controls, but also a brightly colored dot on the display with handles to adjust gain and bandwidth. 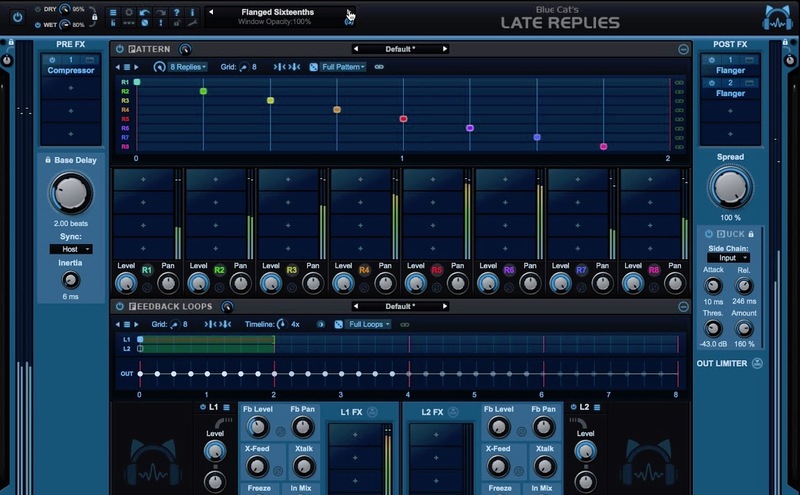 With multiple ways to work, this plug-in is intuitive to use for everyone. Also, very few equalizers out there offer the ability to attack M/S and Stereo simultaneously so Equalize is a beast for 2-bus or mastering processes. 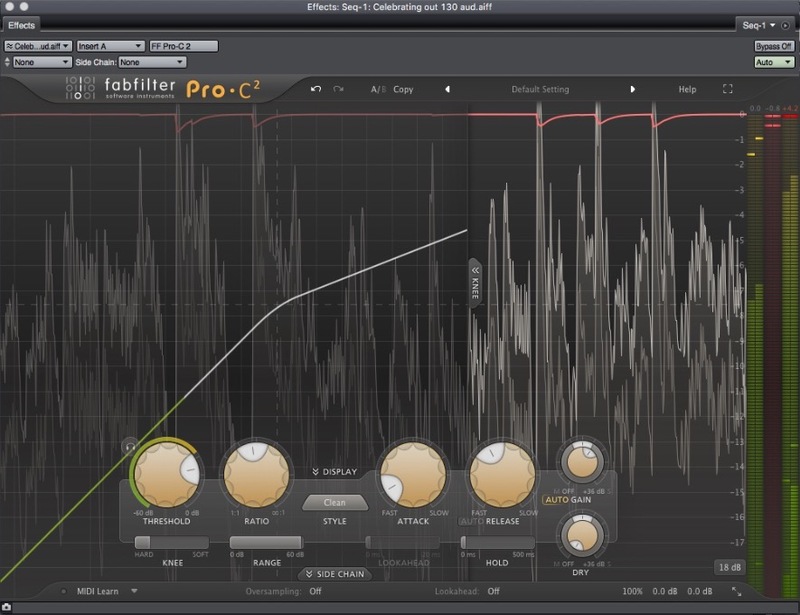 Spectral Level dB and Equalizer Gain dB are on opposite sides from the DeVerberate plug-in. Where is the consistency? This is a very minor problem, but this attention to detail is necessary and users rely on a uniform behavior in plug-ins from the same manufacturer. Lack of Frequency zoom. Also minor, but this feels a bit like an oversight on a plugin that is otherwise so very flexible. With this grade of precision, the visuals should be able to match. While the screen itself, and thus the display can be made larger, the ability to hone in on problematic frequencies and surgically fix them would be nice. Lack of cursor frequency display. This is a feature I have seen on other digital equalizers that should be de rigueur at this point. Wherever the mouse is, should be displayed as a frequency point. Some companies even go so far as to have a piano-scale/note display as well which helps for more musical equalization. 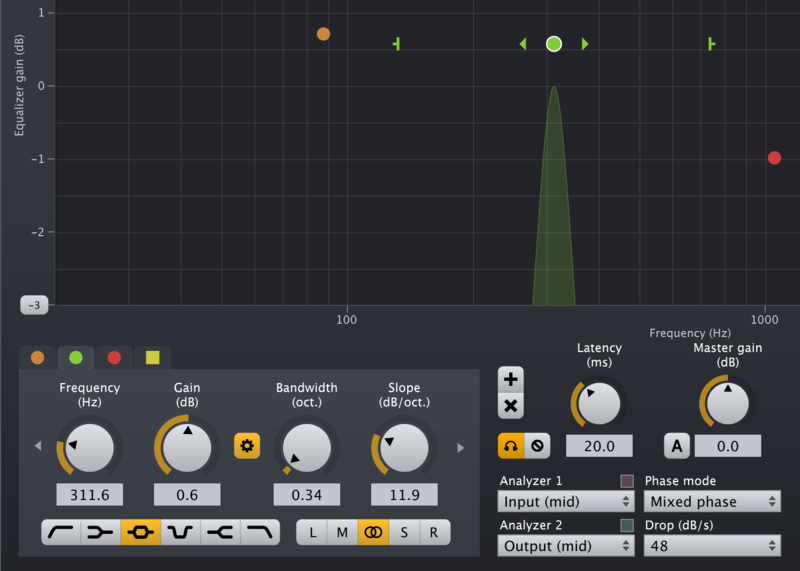 Overall, I’m pleased with Equalize, and will continue to use it. The ability to alter the phase response allows for heavy equalization with minimal artifacts, something necessary in many modern genres, or very useful when polishing less-than-ideal raw tracks. As a Digital “clean” equalizer, it does not apply saturation effects or emulate any famous, historical analog EQ. As such, you won’t find any character here. But that isn’t the purpose of this plug-in. The goal of Acon Equalize is to let the user quickly and easily alter the frequency balance while giving them complete control over every parameter and that goal is resoundingly met. Rich Crescenti is a freelance engineer, producer, educator, and drummer working out of several studios in NYC. Rich has played music for over 30 years, made recordings for over 20 years, and has over 10,000 actual teaching hours. 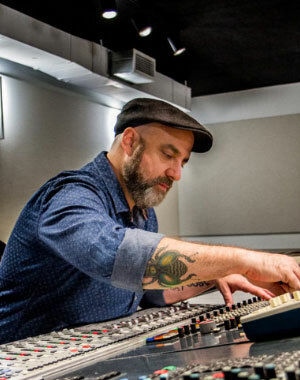 Whether behind the glass or behind the kit, Rich helps bands make unique music and recordings.